Studio No. 7 discreetly stands next to a hair salon on Marietta Street. There is no sign, only the words ‘Studio No. 7’ written in chalk on the door. Inside there is a gallery with large-scale pieces, a lounge, a disc jockey booth and a bar with a kitchen. 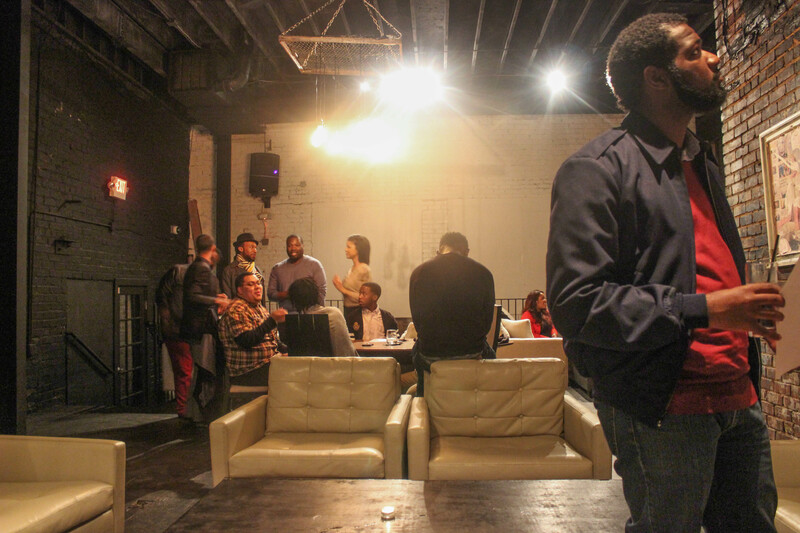 Shannon Evans, Howard University graduate, wanted to open her own photography studio. After the first day it opened, the unexpected happened: A fire destroyed the venue. The renovations were scheduled to get the studio reopened within two months, but it took longer than expected. “It was supposed to be reopen[ed] in two months. Then two months turned into six, then nine, then 24,” Adams said. Evans saw the need for a new lounge in the downtown area that would connect people. 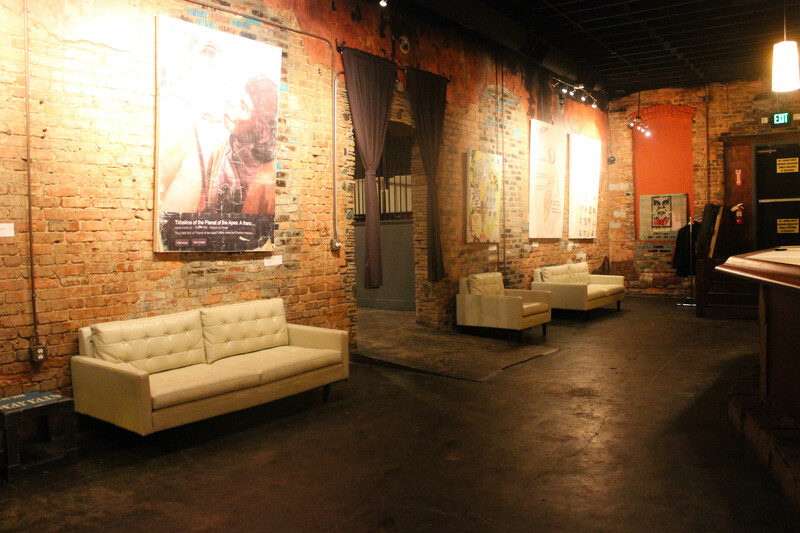 She soon found a venue that was once a club and she turned it into her ideal lounge. Two years later, Studio No. 7 is open 6 days a week, featuring unique events geared towards the creative individual. Located between Georgia Tech and Georgia State, the studio is reminiscent of a New York City loft with its exposed brick and high ceilings. Evans said every aspect of the studio is meticulously chosen to promote an ideal atmosphere for interaction. “Everything we carry is for a reason even down to our spirits. You won’t find Ciroc here. The way it’s set up allows people to sit down and talk to their neighbors,” Evans said. They have collaborated with local organizations including Vain, The Influencers and You’ve Been Noted. “Right now we have a partnership with The Mayor’s Office of Film and so every Wednesday they host their Creative Class networking event Entertainment,” Evans said. Their members are an assembly of different individuals in various fields who meet and create inside of the studio. “All of our members are creatives on some level. Everyone here are artists down to our chefs. They create food that not only tastes great but it looks beautiful as well,” Evans said. Aside from their collaborative events, they have their own themed hang outs throughout the week with names that draw people in. Adams said it’s all in the name. “We’re big on names because they’re fun. Names kind of tell the story. So it’s the initial thing that connects you,” Evans said. Some of their events have included Whisky and Warhol, Gin and Comics and The Artsy, Boozy, Bluesy Brunch. One of their newest events is Study Hall where students can come in, chill and receive a discount on food and beer with their college ID. When it comes to networking, Evans says it happens organically. They get to meet new people everyday and connect them with others. The two agreed that social media is great and so are business cards but it’s personal connections that make networking work. Evans and Adams both appreciate where they are with Studio No. 7 and the changes it took to get there. Evans and Adams say they don’t want to become a mainstream studio. They want to keep an underground and organic reputation that will last years from now, and where the people that truly love it continue to show up and talk about it. “We want everyone to feel welcome and go ‘I can just hang out there regardless of who I am,’” Adams said. Studio No. 7 will continue to push the idea that people can come in not only to drink or socialize but to read and study as well.